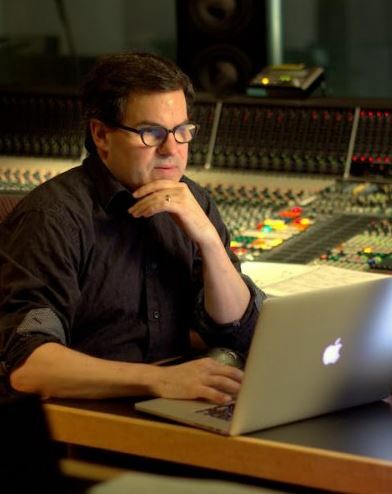 Going three for three with news posts for you about the music of the Bumblebee movie, this time we’ve got an interview that Air-Edel completed with their very own Mark Willsher about serving as the music editor for Dario Marianelli’s score. Could you explain your responsibilities and process when working on a feature film of this scale and how that ties in with collaborating with the other members of the music department? Once we have settled on the versions of the cues that will be recorded and orchestration has begun, I start building the Pro Tools sessions that will be used to record the orchestra. In the case of Bumblebee I was somewhat nervous about this as the scoring sessions were going to be at Fox in LA, and I wasn’t going to be there. The main part of preparing these sessions is laying out the tempo map/click track and making certain that all of the prerecorded material is playing back correctly – both in terms of timing and balance – and also making certain that everything matches the printed score. Again, a fair spoilers warning before you read the entire interview here, then join to the discussion on the 2005 boards! If there's one thing I would like back in the reboot series would be Jablonsky composing. Marianelli's score was just meh/underwhelming/serviceable/functional. Take a pick. That Cybertron opening itself would have benefited from Steve's music. EDIT: This may sound like a rant, but does anyone else feel that's its way past due that the live action franchise had an updated G1 theme song?!? Seriously, I was impressed with Michael Giachinno's update of the 60s Spider-Man theme for the Marvel Studios intro. It was badass! I would love to see a modern composer update it just like that. Settle whatever rights issues with Ford Kinder and Ann Bryant and get it done ! Sigh! The Charlie theme is absolutely fantastic. The piano hits all the right emotional cues. Half the score I enjoy, the other half seems so… unfitting. It is weird. I'm listening to it more but it's odd. Sometimes it feels like a bombastic John Debney thing. One of the kitchen tracks sounds like Danny Elfman's stuff. The soundtrack is meh if you ask me. Nothing outstanding that quickly grabbed my attention. In every bayformers there's always 1 or 2 soundtrack that's memorable and iconic to each installment,but there's nothing like that in bumblebee. I greatly prefer jablonsky over this. Not the same caliber of music as the other scores but I feel it's a worthy addition to the live action franchise. Plus it's a different composer, I went into it knowing that and not comparing it one to one with the others. I did like the score. What was the name of the song when it showed charlie working on bee ? So I told my wife after the movie, "hon I can guarantee there will be a thread on tfw.2005 about the score." I love you guys, and not just because I got a nice fresh "I told you so". After last year's "limited edition" vinyl G1 score, does anyone think they might to a small run press of the score on vinyls? That's fair enough, it's fine to prefer Jablonsky. Again, I'm not saying this is a groundbreaking or genius score, just that I prefer this score's high points (which are mainly Charlie's pieces). It's probably less a reflection on Jablonsy's work, and more a reflection on the fact that I'm kind of bored of the typical orchestral scores. Wow. I've never disagreed with a person more. The music in Bumblebee is distinctly average. I don't think Marianelli is a lesser composer than Jablonsky, but this score does not impress in the slightest. The Bay films my be garbage eye candy, but their scores are gorgeous and memorable. Already I can hear a lot more variation here. Charlie's theme and "Meeting Bumblebee" both use piano. Shatter and Dropkick's pieces use a neat electric guitar (I think, at least). I'm pretty sure there's synth in here somewhere, but I haven't gotten to that track yet. I'm not even saying this is a genius score (I certainly wouldn't put it on the level of something like Star Wars), it's just more interesting and stimulating to me than the scores from the other films. I should point out that I'm not any kind of expert on music. Jablonsky might be considered technically better, maybe other people see something in his work that I don't. Maybe I just value variation and uniqueness. I personally think the most interesting pieces of music from the other films are found in AOE…and frankly, those are the tracks that Imagine Dragons worked on. (Namely "Hunted" and "Hacking the Drone"). I prefer Vince DiCola to both Jablonsky or Marianelli though. It was… fine. Nowhere near Jablonsky's work. But the movie didnt need much more, it was very grounded so it fit. Indeed.Not all movies need it you know,depends on what it tries to be. Way too generic. Nothing here would be played for a team coming out at the Super Bowl, to put it nicely, as opposed to another composer we're all familiar with. Ironically, I like it the most when it channels Jablonsky's work. It’s good, but I really miss Steve Jablonsky’s stuff. Autobots, No Sacrafice No Victory, and obviously Arrival to Earth I consider to be some of the best movie score tracks ever written, but that’s probably my inability to take the nostalgia goggles off talking. They had melodies and feeling that is just so hard to match. It must have been tough to fill those shoes, but I really do wish Travis had gotten Steve back.